It does not feel all that efficient to wait in a fancy coffee line for dessert, but we were probably being too impatient. 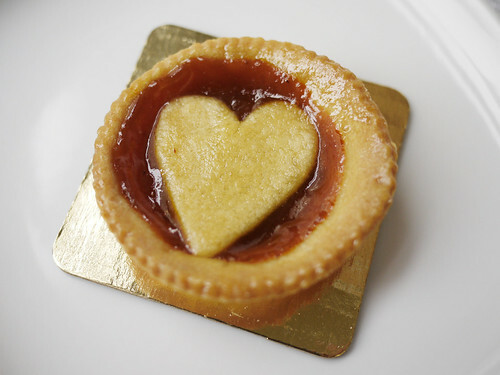 The pretty mango heart tart called out to us. It's perfectly fine to look at, but something about the invisible glaze was a bit disturbing when eaten.